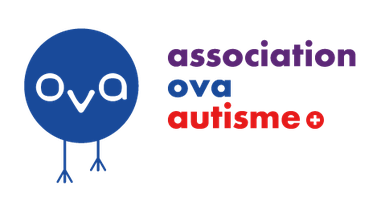 OVA Aims: To expend intervention services for autism in Switzerland by offering an intensive behavioural interventions based on scientific research already recognised and practiced in many countries. To give children with autism a better future thanks to personalised and scientifically effective services: ABA (Applied Behavior Analysis). Organise training of professionals: OVA organises continuous training of professionals in ABA so that the most effective intervention strategies are incorporated into the everyday life of children with autism spectrum disorders. Support families: OVA helps families affected by autism in providing information and effective intervention strategies. OVA supports families, which experience financial difficulties to also access ABA services. Organisation of intervention services for children: Thanks to professionals trained and who meet criteria established by the association, OVA has built a team whose work consists of structured individual sessions adapted for each child’s learning needs. OVA centre is based in Gland, Vaud. It was originally established by families who desired a better future for their children with autism (see section ABA history in the French part of Switzerland). It offers a centre based training and support treatment for autism. The OVA team is composed of professionals trained in applied behaviour analysis. A BCBA psychologist heads the clinical management. All team leaders are trained in ABA and some of them are currently studying for the BCBA or BCaBA credentials. Within the first three months of their recruitment, direct intervention team members receive a practical and theoretical training that meet Registered Behavior Technician (RBT) requirement. They are also encouraged to sit the RBT exam and practical training is composed of direct observation and direct supervised intervention. Ongoing supervision and training are also provided. Each year, OVA organises a seminar with international experts in specific domains of ABA, in order to disseminate ABA in parent and professional communities involved with autism. OVA offers several training weekends on the fundamentals of ABA. Additionally, external professionals can come to a one-week intensive training meeting RBT requirements. Monday to Friday, OVA centre welcomes children (2 to 10 years old) with autism. The therapy vary in length from 7hrs a week to 35hrs a week depending on the individual child’s needs. Each learner is evaluated when he first begins therapy, to identify skills to be addressed and in which priority. An individualised education plan is then developed and all the objectives are worked on with the child, with teaching strategies based on ABA principals. The child's progress and difficulties are monitored and analysed on a weekly basis. Modifications are done made by the team if there are no progress in a specfic domain. Learners receive a one to one intensive and individualised therapy. Some skills are taught in small groups, as soon as the children have met the prerequisite skills to follow and learn in those settings. Each month, parents and OVA team members meet to discuss child progress and potential issues. Parents are also offered a 2-days ABA basis training. They also receive parental guidance sessions at OVA. The therapy is offered in English or French, depending on the child’s mother tongue. 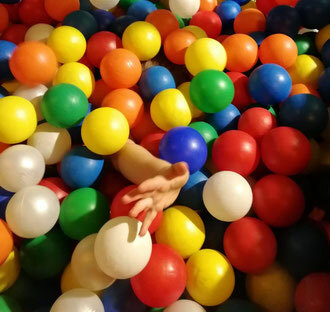 The centre is equipped with a playground and a motricity room. OVA started in 2004 through the initiative of a group of local parents whose children were diagnosed with autism. They were faced with a significant lack of trained professionals as well as a lack of effective therapy, so they searched abroad for scientifically based interventions. In Canada, these parents discovered ABA (Applied Behavior Analysis). Thrilled with the potential of this therapy, they decided to create a partnership with Canadian Behavior Analysts to establish a training of local professionals in Switzerland. Thanks to these newly trained ABA professionals, home-based interventions developed rapidly along with a growing demand for our services. Back then, no one was talking about ABA in French Switzerland. In 2007, the association created a training and intervention centre in Gland, Switzerland. It does not benefit from any subsidies, only private donations and parents’ own financial contributions allow the centre to function. The centre can welcome 12 children followed by 12 instructor therapists and BCBA supervisors as well as an administrative department. 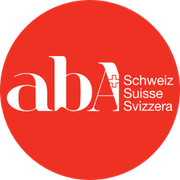 In 2019, OVA remains the only centre providing ABA services in French Switzerland. However many professionals, former OVA team members or other, also offer a home based ABA intervention.